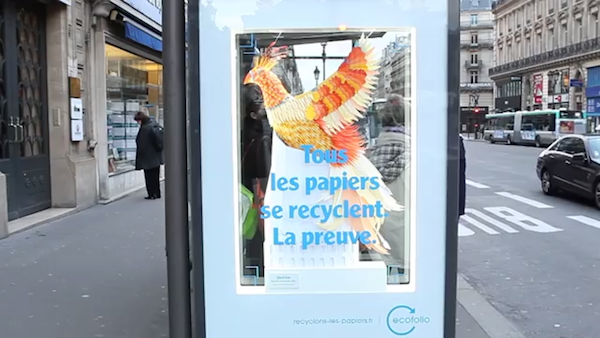 All the paper has been recycled. Here's the proof. 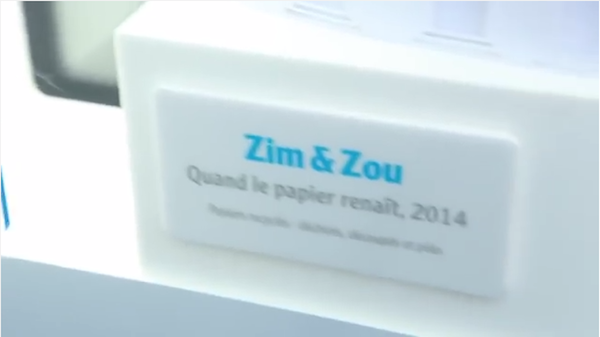 We have previously featured the work of Lucie Thomas and Thibault Zimmermann, who are also known as Zim & Zou. 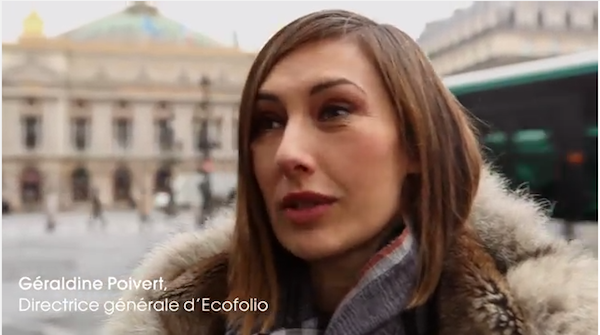 Now, they have collaborated with French NGO Ecofolio to show the benefits of recycling. 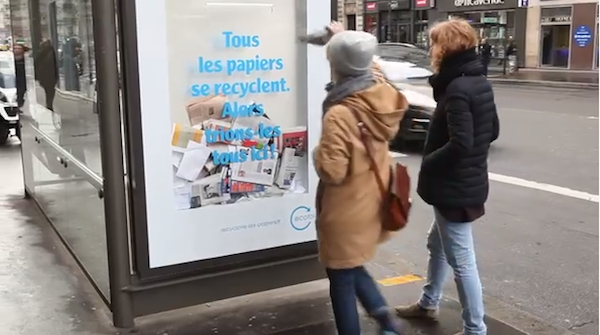 A billboard with a slot was placed along l’avenue de l’Opera in Paris, letting passers-by dispose of their waste paper. 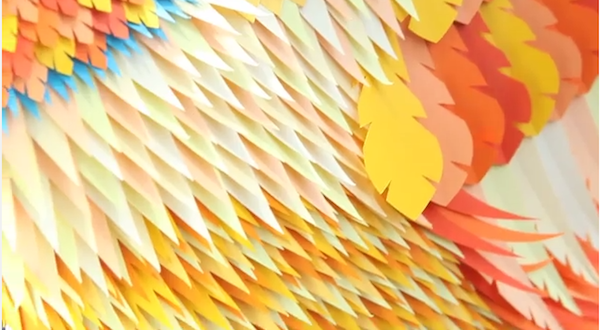 A new paper sculpture of a phoenix emerged days later. 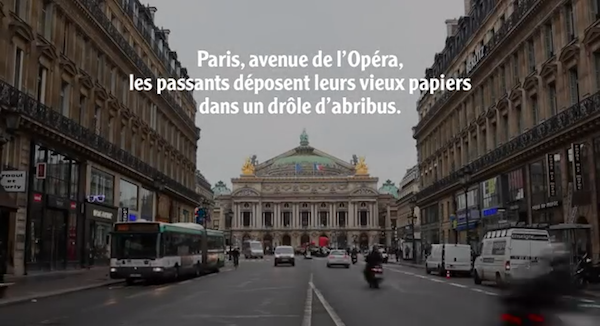 Along l’avenue de l’Opera in Paris, passers-by can dispose of their waste paper in this billboard. 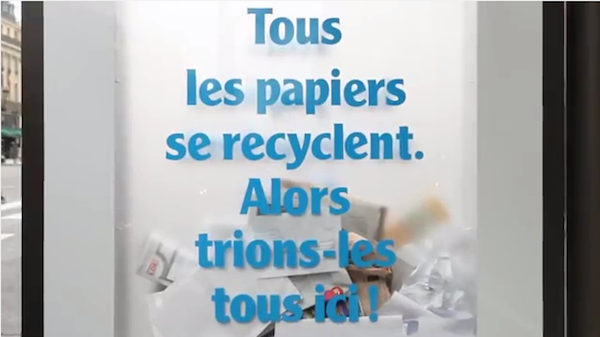 These papers will be recycled. 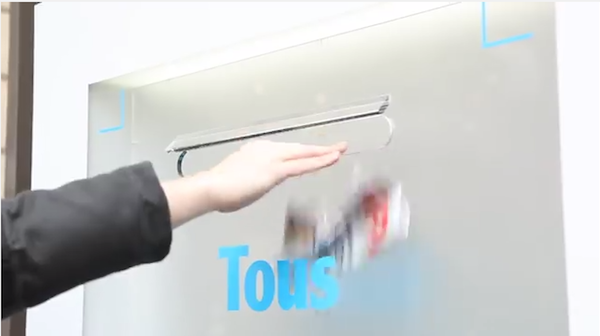 Place them in the slot. 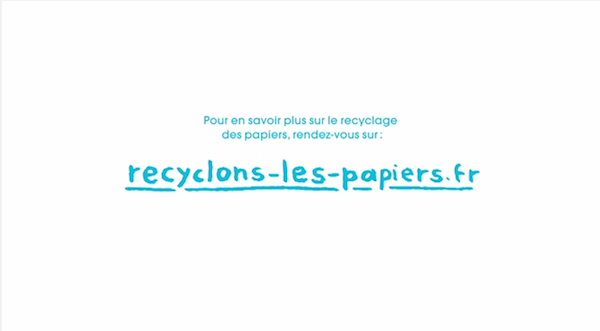 To find out more about recycling paper, please visit this website.